The Holiday Inn Express Hotel & Suites Bloomington is a brand new hotel opening in September 2005 featuring 102 luxurious and well appointed guest rooms and suites. Additional hotel features include complimentary continental breakfast, free high-speed internet access and free local phone calls. 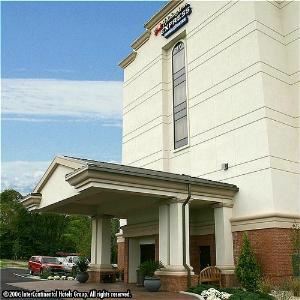 Visit Bloomington, IN and stay smart at the Holiday Inn Express Hotel & Suites.